Observation - Invertebrate - Global. 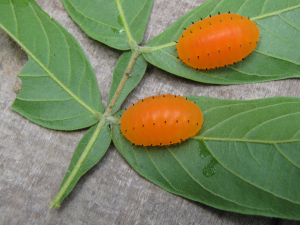 Description: Orange caterpillar? Approx. one inch in length. Small dark spikes along length of body. Orange caterpillar? Approx. one inch in length. Small dark spikes along length of body.